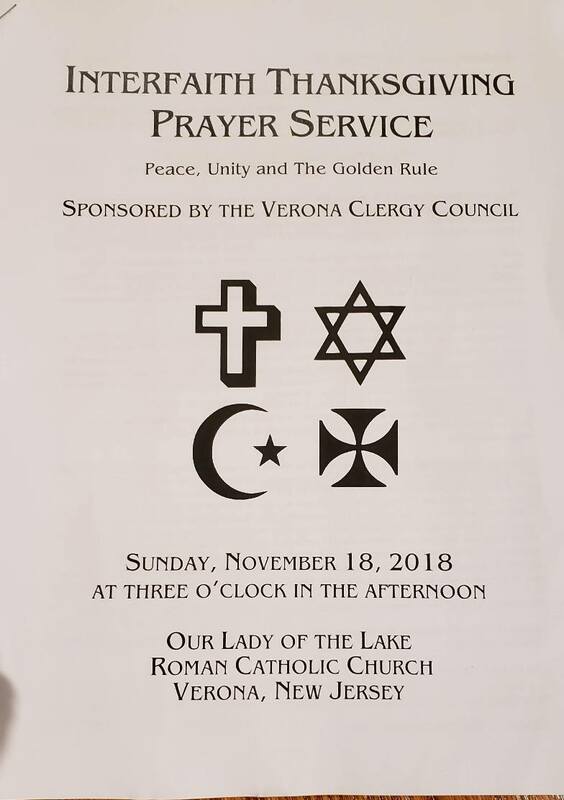 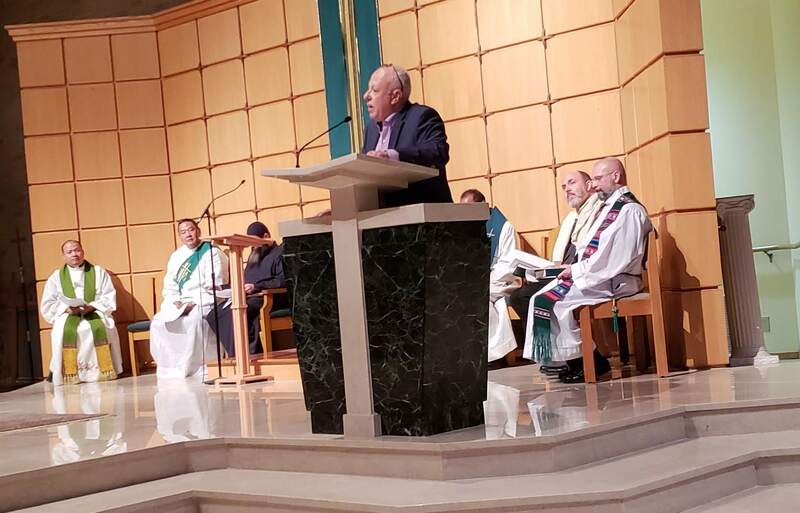 On Sunday, November 18, 2018 at 3pm the Verona Clergy Council once again hosted an Interfaith Thanksgiving Service. 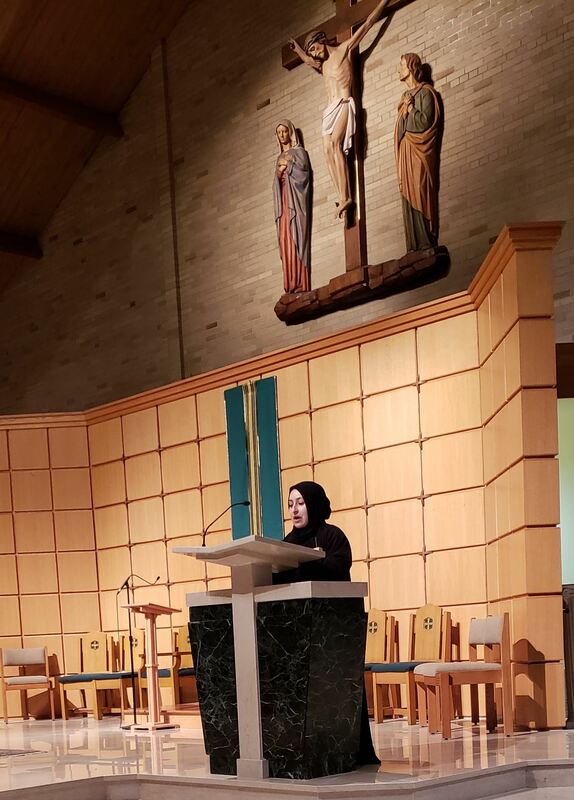 This year's service was held at Our Lady of the Lake Roman Catholic Church. 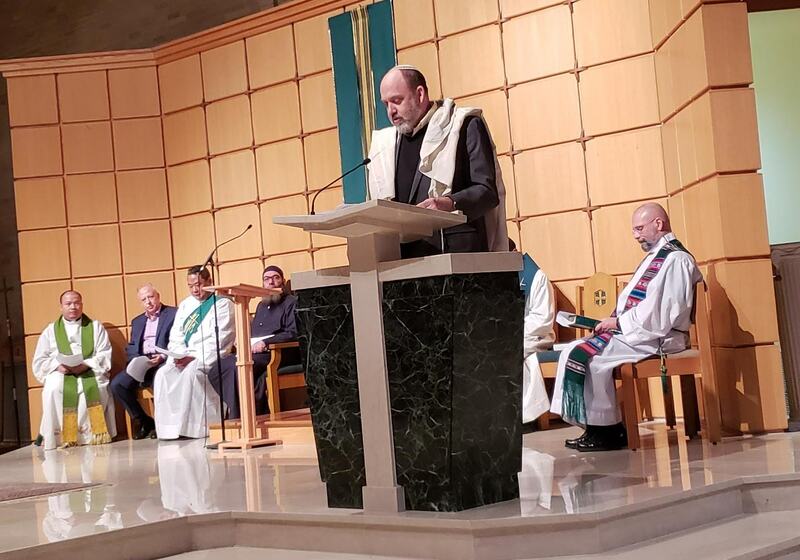 Four Verona houses of worship and one from West Orange, shared scripture readings from Islamic, Jewish and Christian traditions. 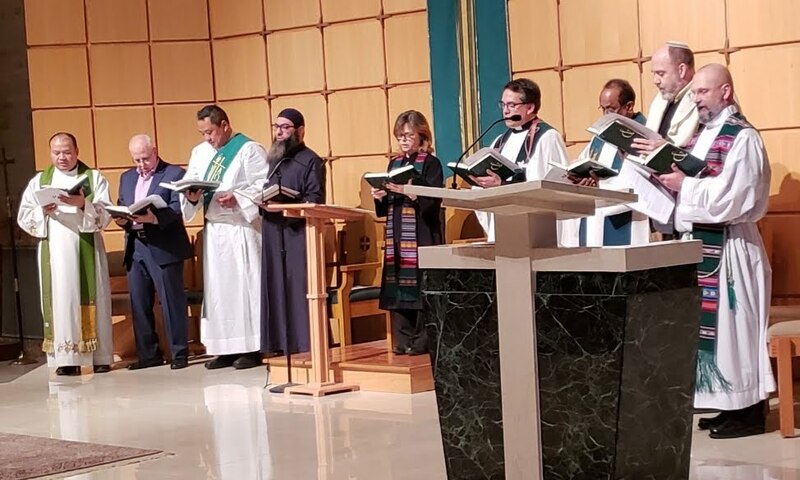 There was singing, praying, fellowship and a true sense of peace, unity and the Golden Rule. 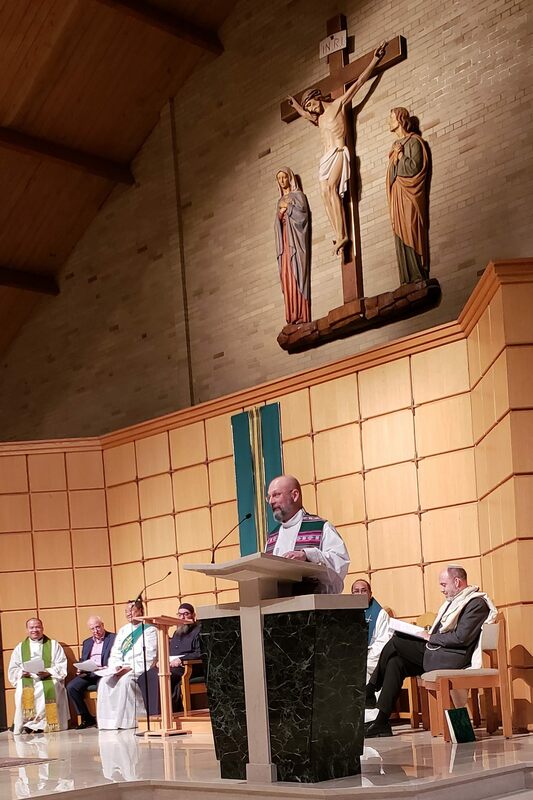 Thanks to Randy Johnson for these photos!